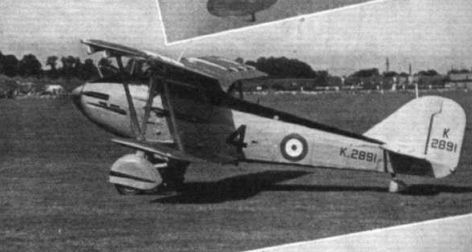 One of the most interesting, because one of the most unorthodox, machines in the class is that designed and built by the Westland Aircraft Works, of Yeovil. In order to give the pilot the best possible view, ДальшеMore>>> the positions of engine and pilot have been reversed. The pilot is placed ahead of the wings, and the "Goshawk" engine inside the fuselage, behind him. Transmission is by a shaft from the engine to the airscrew. Where they join the fuselage the wings are swept down, so that the pilot can look back as well as under the wing. The steam condenser is placed under the fuselage. 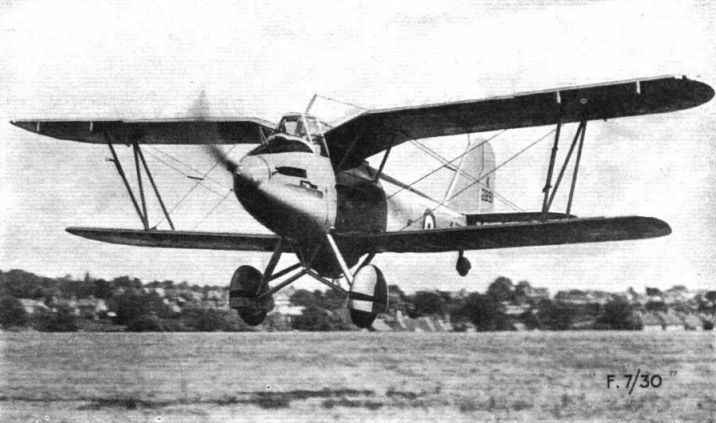 The Westland Day and Night Fighter has a wing span of 38 ft. 6 in. Westland Day and Night Fighter (Rolls-Royce "Goshawk" engine). THE WESTLAND DAY AND NIGHT FIGHTER: The Rolls-Royce "Goshawk" engine is placed centrally and drives the airscrew through a shaft.